Discovery education offers resources for teachers, students, and parents. Teachers can view ideas of how to create their lesson plans, and use the lesson plans already provided for every subject. Also they can get activities for their students and much more. Parents have access to homework help for each subject and more advanced classes that are not normally given. Information on how to motivate your child. Parents can create puzzles for their child to do at home and get extra practice. This website is mostly beneficial to students from kindergarten to 12th grade. Homework help is offered for all subjects, and step by step math resource that is powered by WebMath and that ranges from general math to calculus. There is even an interactive game to test the students driving skills. Anyone who wants to make this website a part of their everyday life can make a free account. There's over 8,500 lessons in math, english, science, history and more. The lessons are organized by course. There's video lessons that are less than 10 minutes long, so you can study in small doses. The expert instructors make concepts easy to understand with concrete examples and simple explanations. Short quizzes are provided after each lesson, so you can evaluate yourself and see how much you've learned. You'll get your score instantly and can see what you've mastered and what you need to review. Difficult subjects are explained with simple, bite-sized lessons. Plus, engaging examples and graphics to reinforce the concepts. The courses are engaging video summaries of textbook material. They are a fast, effective way to study for any subjects and be prepared for you next test. The lessons are short and concise, with lots of examples to help you master the material quickly. High school ace is a free educational website that is available to the public. It is designed to help out high school students. It has free academic resources in different subjects such as english, science,history, and mathematics. This site gives you regents prep in mathematics and it also gives you important lessons in which you may need help with, want to review, or missed out on learning it. High school ace also has educational quiz games designed for topics in english, mathematics, science and history. When it comes to history and science, this site gives you a review on everything. HippoCampus.org is a free of charge educational website that can be used by middle school and high school students. This website is also available to teachers and it does not require you to register or login to use the site. HippoCampus.org was designed as part of a worldwide effort to improve access to quality education for everyone. It is also a non-profit site that is powered by The NROC Project. HippoCampus.org is a core academic web site that delivers rich multimedia content of videos, animations, and simulations on general education subjects. Students can use this site to study and prep for exams because it contains over 5,700 free videos in 13 subject areas. 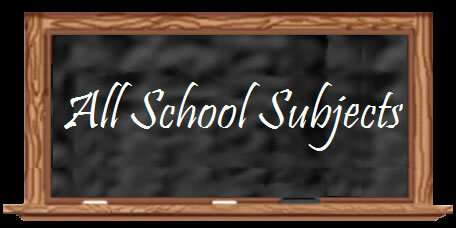 These subject areas include math, natural science, social science and humanities lesson videos explaining a topic. Interactive sites for education is a free website that is available to the public and helps kids, parents and teachers. It helps kids by teaching them how to do math and history. It works on a SMART board or on an interactive board for a group of students, which benefits a lot of teachers. Parents also can use this website to help teach their kids about any topic that they are having trouble with. Khan Academy is a website that is ideal for a student from elementary school all the way through high school. Khan Academy is a vital tool to further your studies at home. The possession of a tool that allows a student to further their studies at home is great because it helps to reiterate difficult topics. The recommended way to use the site is: as the school year progresses, you should follow up on the topics you learn in school when you go home. Not only can you follow up on the topics that you’ve learned in school but KhanAcademy can help you prepare for upcoming state tests like SAT exams, GMAT and MCATs. Using this site will serve as not only a study guide but as a personal teacher to teach you at home. This website is excellent for students for all grades elementary, middle, and high school students who are having difficulty with their homework and school work. There are many different subjects the students can do research and look for help. For example : science, mathematics, english, health, writing and more. There are more courses that go into depth and have more information. This website is very interesting because it doesn't only have the main courses of all grades but it has college related subjects too. It has test prep, study guides, math shack, essay lab and AP. Math shack are drills related to mathematics. Test prep is to prepare and help you for any test and essay lab brainstorms ideas of an essay you're going to write about. Slader is an academic community for students, by students. It is the first crowd-sourced approach to education online.On Slader, every user is a contributor to the site. Contributing solutions to a textbook or discussing The Great Gatsby improves skills and understanding, as well as providing positive reinforcement.Slader is committed to the highest standards of academic excellence.Slader offers an alternative to expensive tutors and costly after-school programs.Slader is written by students, for students.Slader provides a platform for several academic subjects, which means that every student is able to contribute and collaborate on the subjects that they excel in. Slader removes geographic boundaries, creating an online study group that students can control themselves.Slader believes that students are responsible for their own education.Rather, it should be about individual student comprehension and conceptual understanding. Slader allows students to share their tutorials and expertise with their peers. Sweet search is a great website for elementary school, middle school, high school students and teachers. This website helps students in high school with topics that they don’t understand, such as math, english, science, social studies, computers, and learning languages. If you need help in any of these subjects, the site provides different links for each topic and those links help you on what you don’t understand. Sweet search also provides topics that will help you for college like test preparation, online college courses and applying to college. In each topic there are links that help you how to prepare for SAT and ACT exams. These links are going to prepare you for the exams which will improve the score you’re going to receive. Sweet Search helps you apply to college and helps you choose what online college courses you want to take if your interested. WatchKnowLearn is available to provide a world-class, online domain on which educators can store, categorize, and rate the best, K – 12 educational videos on the Internet today. This service is FREE to teachers, parents and students everywhere.WatchKnowLearn has indexed approximately 50,000 educational videos, placing them into a directory of over 5,000 categories. The videos are available without any registration or fees to teachers in the classroom, as well as parents and students at home 24/7. Get a five is designed to help students who are taking the AP courses, so that they can get a 3 or above to earn college credits. This website has 4 AP courses available to help the students. The courses are AP Calculus AB, AP World History, AP U.S. History, and AP Biology. You have to enroll for the courses that you are taking in the school or that you need help with and then it has videos for each chapter to watch. Each course has it’s own teacher to teach the lessons. In the videos you see the teacher talking so watching the videos on get a five is like sitting in the classroom and listening to your teacher. At the end of every lesson you have quizzes for practice. Get a five is a good website for students to prepare themselves for their AP exams. This website includes many sources such as math, english, and science and provides information using videos in which explains the topic that is being provided. It also includes sciences in health, if you have health classes in which you need help with, go to brainpop and ask Moby a question! In this website you can log in and make your own account or if your teacher gave you a code you can use that to log in to study. This website provides fun ways to learn which appeals to all ages. Not only does this website include accurate information, but it also includes quizzes in which you can do to get better. Like games? Well BrainPop also includes games in which helps your brain stimulate brain activity to make you better at the subject you chosen! they have memory games, math games and much more! This website also includes student made websites and extracurricular subjects such as art and engineering. For more information, go to the website and check it out yourself! Don't have a computer? Well this website also includes a mobile site! Schooltube is a website where students and teachers from grades K-12 post videos about any subject. The videos are educational yet fun. It breaks down the topic in a way that kids our age can understand. Subjects can include: music, art, history, math, science, english, and much more. Schooltube uses cartoons, slang, and songs to make students more interested in the subjects that they are studying. It is good for students because it helps them understand their subjects better. It is also useful for teachers because they can use it to help their students get a better understanding on the topics that they are teaching. Free rice is a free website that can help you and also people all over the world. This website is a non-profit website that is supported and owned by the United Nations World Food Programme. Free rice has two very special important goals for its users. The 1st goal is to provide education to everyone for free. Education is very important because it helps us to improve the world we live in, make our dreams come true, & so much more. Improving our education can improve our lives, and can also have a good investment in ourselves. Subjects that are provided include Art, English, Math, Chemistry, Sciences, Language Learning, Geography, & Test Preparation for the SAT. The 2nd goal of this website is to help end world hunger by providing rice to hungry people for free. World hunger is a huge issue in our society today. When you go online to free rice you're studying online as well as providing food for those who need it the most. Every time you get an answer correct on this site you're donating 10 grains of rice each to the United Nations World Food Programs. Being able to have an education and also improving a person’s life by giving them something to eat is a wonderful thing to do. Majortests.com provides practice tests and resources for high school, and college students. This a great opportunity for students to prepare themselves for their upcoming exams. This website provides variety of practice exams for students to academically and mentally prepare them for the exams. Majortests.com helps you prepare for the SAT by giving you free practice tests. You don't need to register or create usernames and passwords. Their questions are developed by test prep professionals. They also give you explanations to the questions you get wrong so that you can learn from your mistakes. They provide you with different types of exams. For example:they have online prep for GRE, SAT, GMAT, MAT, and many more. This website also improves your vocabulary by providing vocabulary words that might show up on these exams. This website is a fun and interactive site that provides the user with various topics and interests which they have. This site includes and isn’t limited to biographies of different famous people, US History topics and many more all at the click of your mouse. Its a very useful site that will take away the constant searching on google for topics of interest.This site includes an almanac, a thesaurus and a dictionary that can define almost any word you have.There is also a “Cool Stuff” section where users can get a feel of the world, movies, art and tv. There is also a games and puzzle section where kids can play along and test their brain power. There is also an science section that involves many topics of science and a homework section used as extracurricular activity. BJ Pinchbeck’s Homework Helper has been the curator of the best free education and homework resources for students, teachers and parents. Although this site was designed for all elementary, middle and high school students, many college students have used this site to help them with their studies. In addition, many links added to the site are intended to help parents and teachers. A library of educational links provides users with information covering almost every topic that comes to mind. The site is constructed so that each category is broken into subcategories. This homework hub is a wonderful aid to students across the board, but users should be cautious about straying to links with mature or inappropriate content. As a bonus, BJ Pinchbeck provides a "College Companion," an entire site dedicated to preparing for college prep and being successful while in college. Th!nk offers computer training for individuals, small and medium size businesses, and Fortune 500 companies. You choose the format (videos, book, PDF, an app, and more).Also, think Tutorial's strength and success resides in its very intuitive approach and design that keeps everything simple and organized. Th!nk Tutorial is a database of simple, easy to follow tutorials covering all aspects of popular computing. So its going make your life much easier if your new to this. So next time your mom or grandmother ask you about how to do something send them to this website. Think Tutorial is a database of simple, easy to follow tutorials covering all aspects of popular computing. They currently have +1000 tutorials and add or translate 200 tutorials weekly, keeps the website fresh. On Think Tutorial you will find tutorials for taking advantage of the many features of popular email services like Gmail, Apple Mail, Hotmail, and Yahoo mail. You will also find tutorials for using iWork and Word. Want to learn how to use LinkedIn, Twitter, or Facebook? Think Tutorial has you covered there too. Documentary Heaven is a website where anyone can go to watch a documentary on well about anything. This website is honestly one of the best websites I’ve been on to go look at video and with descriptions to help you understand the documentary. The descriptions provides the viewer with information about the topic. This website isn’t like any other website you have been on. This website has so many categories along with an out of this world amount of sub categories. So if you ever need to do a essay on something that is happening in today's media, visit this site and you would get whatever information you need. Mental floss is a great website for a fun learning experience. On this website there are random facts that are interesting. There are many videos and images to make it more interesting. There are questions of the day, quizzes and even brain games. The website also helps one’s to express themselves by asking them questions. There is also information about movies, rest and comic books for those that are interested. Mental floss is so interesting, it has a magazine. Mental floss uses catchy songs to help users to learn how the brain works. This website would give you random knowledge like, ‘why do cats bring home dead animals’ or ‘ 15 things you probably did not know about the movie house party’.